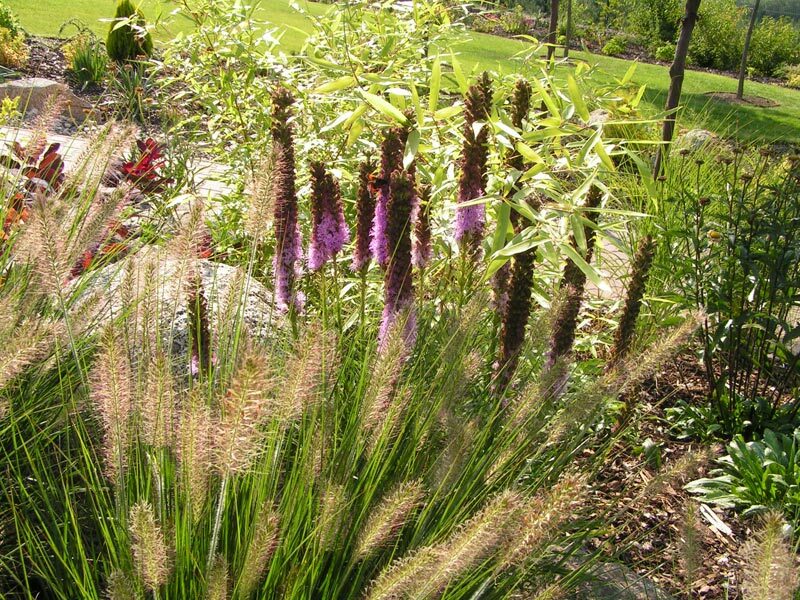 The main principle, when creating natural gardens, is taking advantage of the various natural elements that can be found within the boundaries of your future garden. 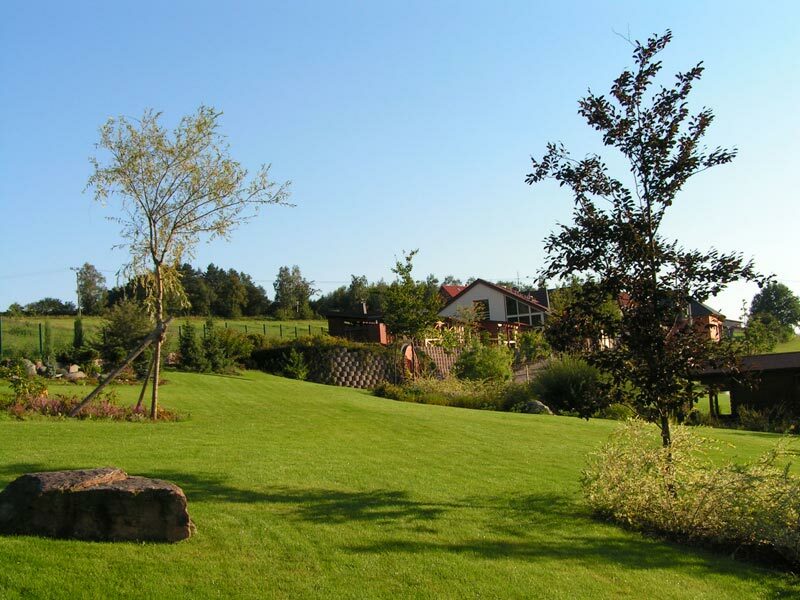 The most common case is emphasising the scenery of the uneven terrain by planting it fittingly with trees and bushes counterbalanced with areas of grass. This modelling method effectively sections off the garden and results in spectacular play of light and shade. The ground plan itself isn't as important as the existing population of woody plants standing in clusters or solitarily. The terrain is modelled irregularly and the boundaries between the garden and the surrounding landscape are at times invisible. The usual fence may be substituted by mere clumps of trees or bushes or possibly by a ditch or may be obscured by a rampart. Flower planting isn't dominant in natural gardens. Flowers should only underline the bush vegetation and the outlines of the flower beds should have a shape of free curve. Footpaths, unlike in formal gardens, have more than just decorative function. They are drawn up to guide you through different corners of your sanctuary, each of which has its own mood. 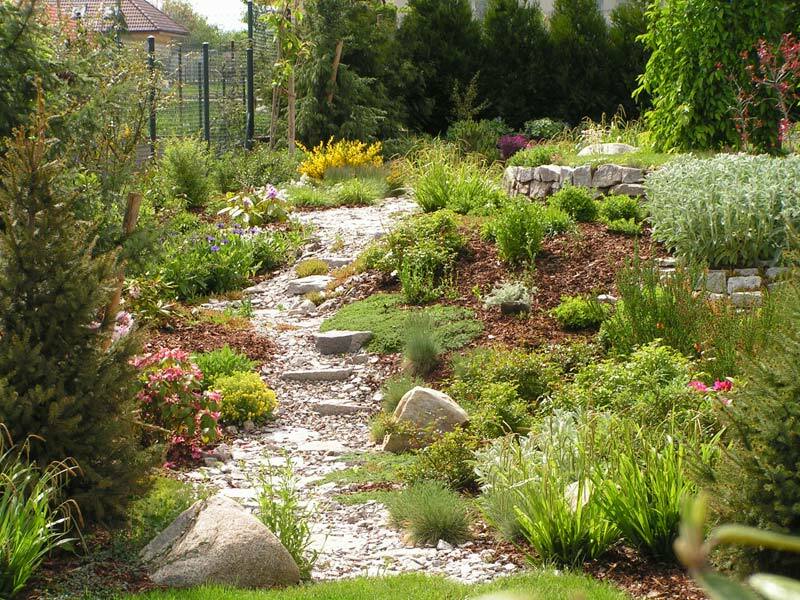 Water should definitely have its place in a natural garden, whether in a form of a natural stream or an artificial pool - made in a nature-like fashion, obviously. Don't reject small garden constructions either. They can embellish your garden and, at the same time, be a perfect shelter for relaxation. Who would resist a pleasant gathering with friends in a romantic arbour? Would you? Marigreen Ltd. will make all this possible for you to have.